Lemont—Along with the continuing success of their luxury Ashbury Woods townhome community in Lemont, DONVEN Homes has had many buyers requesting them to offer even larger upscale single level ranch townhomes, preferably end units. The result of this exceptional buyer demand was the maintenance free duplex building residences of WOODGLEN, located on the rolling, wooded site of the former 30-acre Totura estate. The duplex buildings have been carefully designed architecturally as single family style homes with your own backyard and features 2 different single level ranch floor plans and an additional, somewhat larger two-story plan with a first floor master bedroom suite. 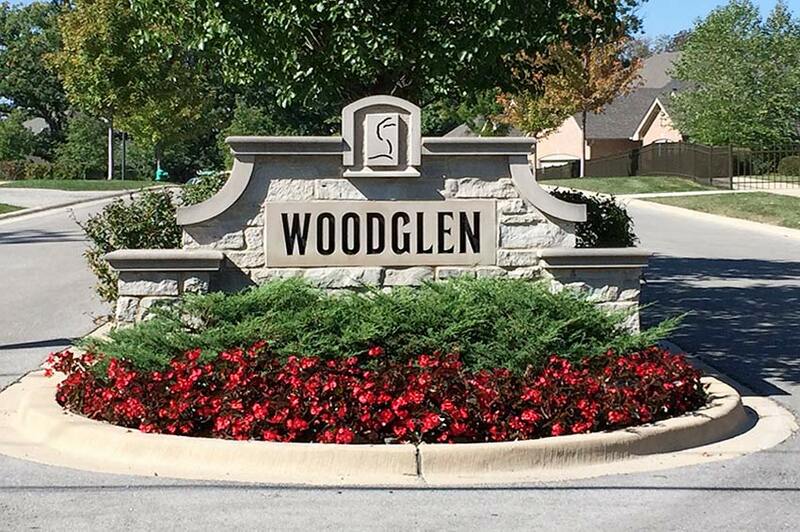 Over two-thirds of the building sites at WOODGLEN will feature walk-out or look-out full basements, carefully planned to fit the rolling, wooded terrain – all while enjoying the close, in-town conveniences of Lemont. Once you have visited the three dramatic luxury model homes at Woodglen you will know you have found something special. This is NOT a “cookie-cutter” community. These beautiful upscale duplex building residences are nestled in a wooded location with all the upscale designer features, exceptional floor plans and solid construction homebuyers expect from DONVEN Homes. In an effort to make buying one of these maintenance free dream homes as easy as possible, DONVEN Homes will work with buyer’s individual time frames for move-in, while locking in now at today’s special home prices. The WOODGLEN community consists of 90 luxury ranch and two-story duplex residences with 30 residences already sold. The duplex buildings architecture has been carefully designed to reflect the features of a single-family home. Homeowners will enjoy the ease and cost-effectiveness of maintenance-free living while still enjoying their own backyard. Located in the center of Lemont, just south of McCarthy Road (123rd St.), this community is away from high traffic areas, truly an outstanding site…not far away, just hidden away. “Woodglen is truly a remarkable, one-of-a-kind place to live. These beautiful homes are nestled into a quiet, wooded enclave within the bustling Village of Lemont. It is rare to have such a naturalistic landscape in a well-developed town. In addition, homeowners can enjoy their own backyards – which is unusual in a duplex residential community. I know homebuyers will be impressed with not only the setting, but the quality and design of the homes.” said Scott Stevens, Vice President of DONVEN Homes. The Ashton is an elegant single-level ranch home with 2,000 sq. ft. featuring 2 bedrooms plus den, 2 full baths, nine-foot ceilings, spacious living room and dining room with tray ceilings, open kitchen design with peninsula breakfast bar, bright breakfast room with sliding glass doors to exterior patio or deck, dramatic master bedroom suite featuring tray ceiling with 2 large walk-in closets and a luxurious bath, convenient 1st floor laundry room, 2-car finished garage and a full basement. 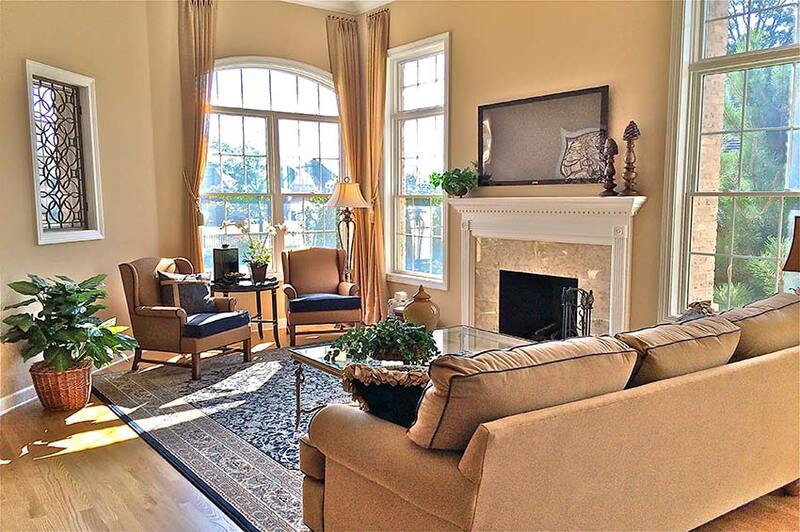 The Berkshire offers 2,200 sq.ft. of living space and is a luxurious single level ranch home featuring 2 bedrooms plus den, a corner sun room with French doors to exterior patio or deck, 2 full baths, nine-foot ceilings, spacious great room with tray ceiling, formal dining room with elegant columns and tray ceiling, gourmet kitchen including peninsula breakfast bar open to bright breakfast room, master bedroom suite with tray ceiling including 2 walk-in closets and luxurious master bath, large 1st floor laundry room with closet, 2-car finished garage and full basement. The Carlyle is a dramatic 2-story home with 2,600 sq.ft., featuring a 1st floor master bedroom suite with luxurious master bath, 3 bedrooms plus large 2nd floor loft, 2 full baths plus powder room, dramatic 2-story foyer, master bedroom suite featuring tray ceiling, walk-in closets, gourmet kitchen with center island and pantry, bright and spacious corner breakfast room open to exterior patio or deck, nine-foot 1st floor ceilings, elegant living room and dining room featuring 12 ft. ceiling and transom windows, convenient 1st floor laundry room, 2-car finished garage and full basement. Woodglen offers people a home to last a lifetime, in a maintenance-free environment, with spacious and bright single-family designed floor plans and all the upscale amenities. It is close to shopping, dining, golf courses, the I-55 and I-355 expressways, including the new interchange on 127th St., and the Metra train station in downtown Lemont. Homeowner’s will also have the benefit of Lemont’s excellent schools. “If you are looking for a truly distinctive maintenance free home, visit our Sales Center to see these great new models in this one-of-a-kind setting. We will work with you to make your purchase go smoothly and within the time frame that suits your needs,” added Stevens.